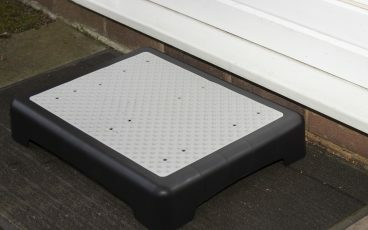 Ramps and steps can be used to make it easier to access your home on foot. They also make it possible to transport wheeled mobility aids in and out of your home, with minimal modification. Some are portable, so you can access your friends’ and family’s houses, and some are fixed for long-term, single-location use. There are also ramps available for your car, making it significantly easier to transfer mobility aids from the boot to the ground. Usually, the rule of thumb is, that for every one dimension you go up (either in cm or inches), the ramp needs to extend eight dimensions lengthways. For example, for a 15cm step, you’ll need a 120cm long ramp. 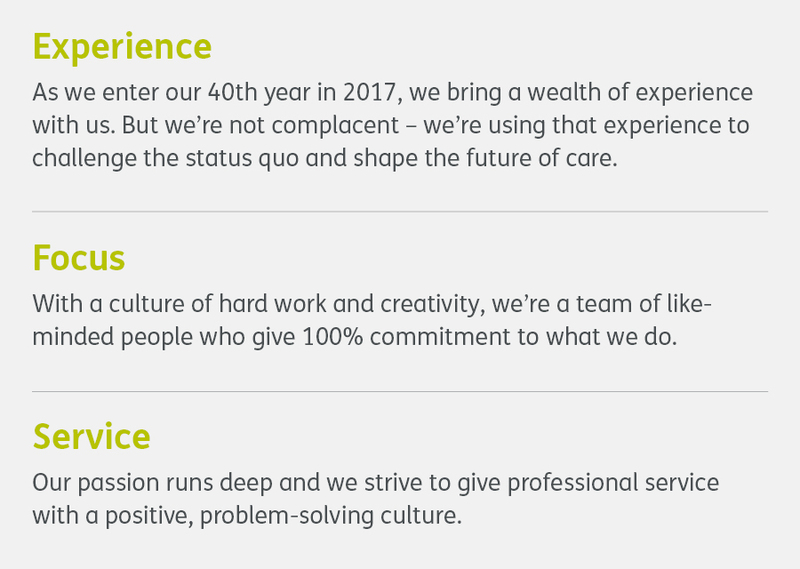 You can always get in touch if you need a bit of extra advice. Our experts are pretty good at providing estimated dimensions based on detailed diagrams or images, and can advise you on taking measurements. 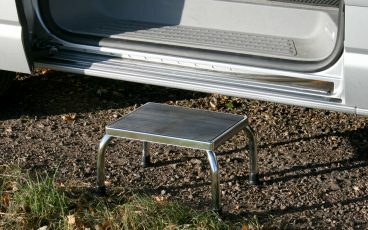 A sturdy step with non-slip rubber mat surface and chrome plated steel frame. 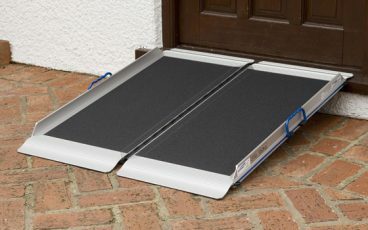 A simply-designed, portable step that makes it easier to access your home. 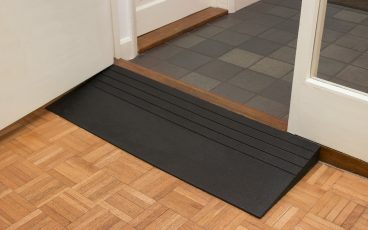 Single door-width ramp made from weather resistant rubber with a large load capacity. 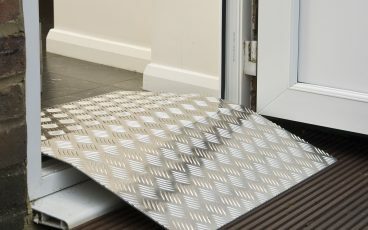 Lightweight threshold ramp with excellent surface grip. Available in a range of heights. Popular and versatile ramp that folds away for compact storage. 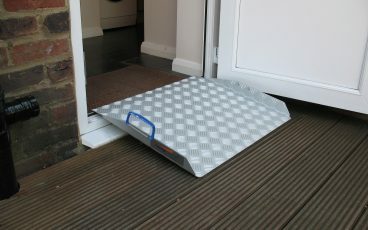 Lightweight ramp that works well with Aerolight ramps to bridge over thresholds.